King James is ready to claim La La Land as his own. 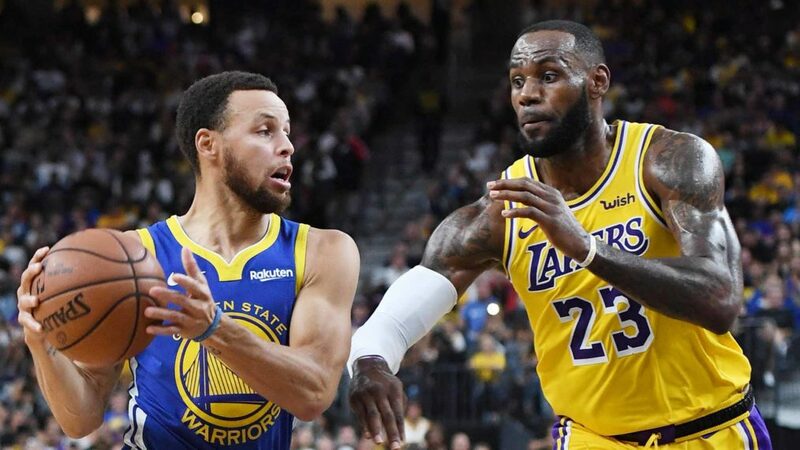 Four-time MVP and three-time champion LeBron James plays his first regular-season game as a Laker when the team visits the Trail Blazers on Thursday, October 18. James and the Lakers are a match made in Hollywood, with James needing a big-market change of scenery and the Lakers needing to get back to the playoffs for the first time since the 2012–13 season. Where to watch the NBA all season long. The storied franchise had fallen on hard times since their last championship in 2010, and executives Magic Johnson and Rob Pelinka acquired a star who gives the team the chance to compete with the likes of Golden State and Houston in the West. James knows that patience is the key to getting all the new players — including Rajon Rondo, Lance Stephenson, Michael Beasley and JaVale McGee — to mesh on the court. "We are all new to each other. We have to take our bumps and our bruises," James said at the Lakers’ media day. "There are going to be good times and bad times. If we continue to work the process and continue to sacrifice for one another and put in the commitment and time to being great, everything else will fall into place."